Fineline Adds Some Style To Mini Cooper on Van Ness — Fineline Metals Inc.
MINI is a brand known all over the world for its bold design and modern, cutting-edge style. So when their Van Ness dealership in San Francisco found itself in need of some top-quality metalwork, we were thrilled when they chose Fineline Metals. 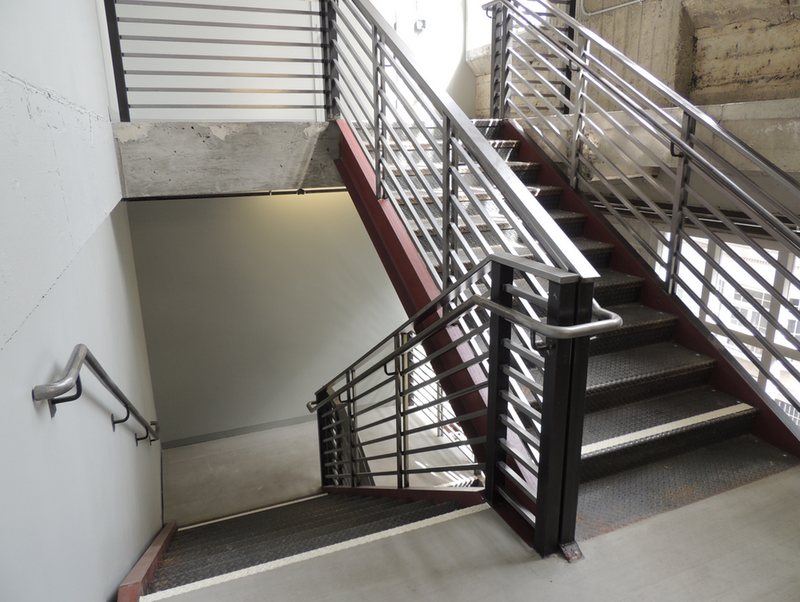 This polished steel railing fits perfectly into MINI's modern San Francisco offices. Mini has been owned by the BMW company since 2000, and was acquired by the company back in 1994 when they purchased the Rover Group (formerly British Leyland). They first marketed their modern version of the Mini in 2001, and since then the brand has come to be associated with quality and exceptional value. 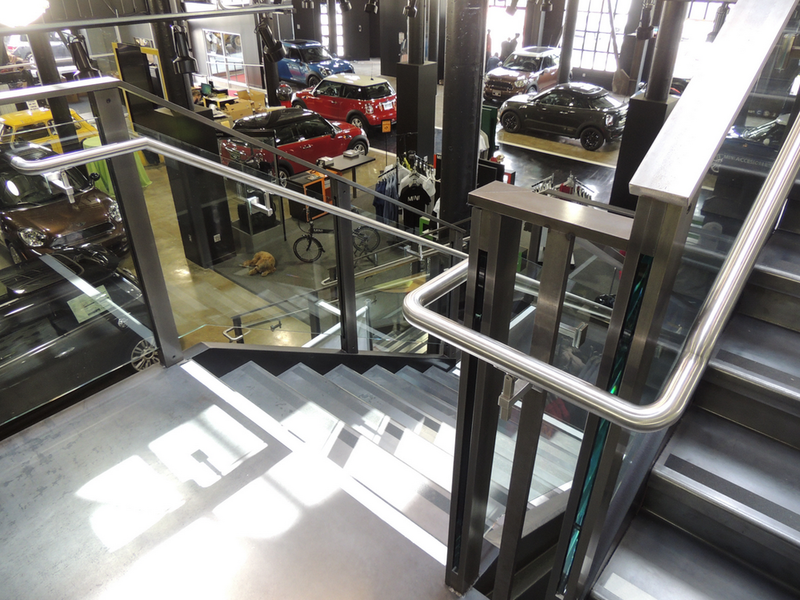 With its clean lines, the grand staircase at the Van Ness MINI dealership truly makes the space. 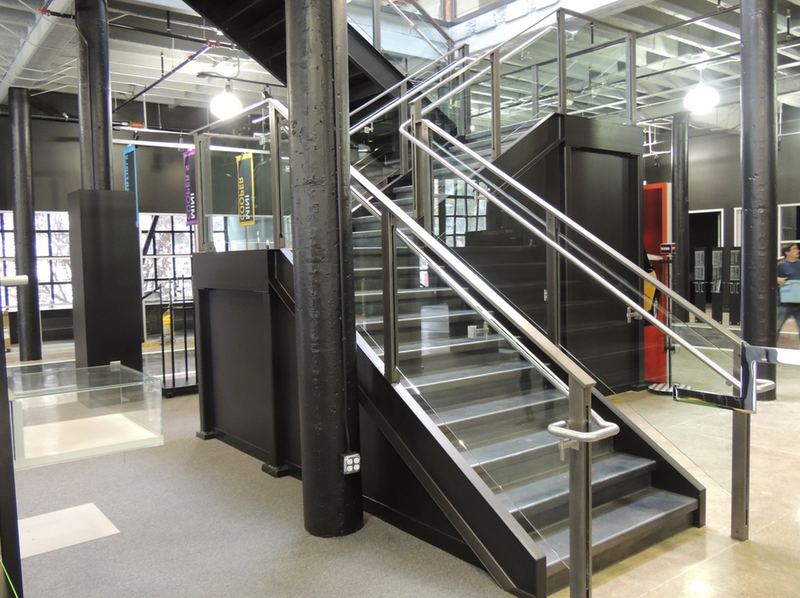 Their Van Ness space is one of two dealerships in San Francisco, and the 2-story space called for two separate polished metal staircases, including a grand staircase that would serve as the centerpiece of the showroom. There was also a structural steel element required for the busy facility's elevators. The second stairway at MINI's San Francisco dealership. Happily the work at MINI went smoothly, and in the end the client was particularly happy with the job. This dealership sees a lot of visitors, so we're pleased that our work at this location will be seen and appreciated by thousands of MINI customers in the months and years to come. Another job well done. We'll be back in the coming weeks with more Fineline news. Thanks for reading, and make sure to come back to the Workspace Blog again soon!